A fireplace gives a home far more than heat. When you feel all cozy and toasty warm, the snap and crackle of the wood and the dancing of the flames are big parts of your comfort. If it’s a wood fire you also get the pleasure of the wood smoke aroma and the satisfaction of creating again one of mankind’s most important tools. When it’s cold outside a fireplace adds a great deal to your daily life. Whether it’s built into a wall, a standalone, inside or outside, a fireplace is a treasure to be enjoyed! These examples should heat up some ideas for your own projects. Today, we tell you the story of Rodrigue who has entirely renovated his apartment. It was a huge project for him as it was his first real estate purchase, so he needed to reassure himself and make the right choices. Here’s how he did it! Homebyme – How did your project start? Rodrigue – At age 26, I wanted to buy my first apartment after 8 years of renting. It was a way to invest in real estate and I had the feeling I was wasting money by paying rent. I also wanted to really feel at home, being free to choose the paintings I like and plan the kitchen of my dreams. It is probably the scariest project of my entire life for now, as it is a totally complete project that I did myself and in a very expensive but beautiful city: Paris. It was especially difficult with my tight budget, I could only afford an apartment that needed a lot of work, so the project was harder. Homebyme – What kinds of work did you have to do? 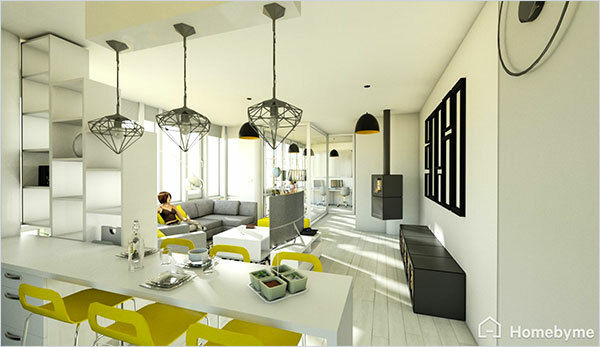 Rodrigue – I had to entirely remake the entire apartment: plumbing, electricity, and of course the plan of the apartment. It is only a two room apartment, but it was still a lot of work! I worked with a local artisan who helped me with all this stuff. We planned how to remake the bathroom, kitchen, and also figured out the floors and paintings before starting the real construction. 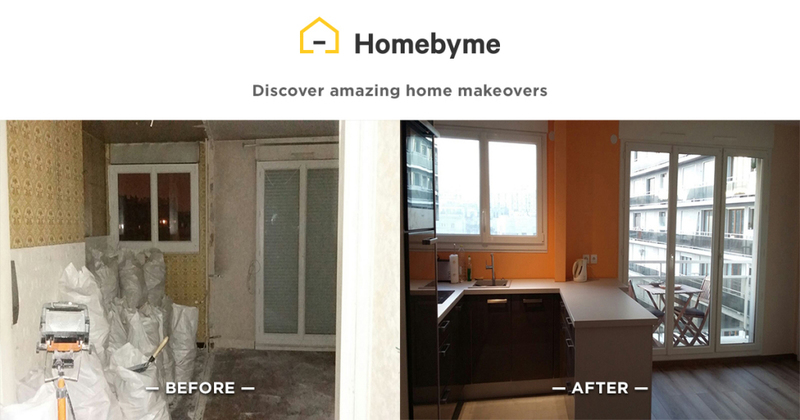 Homebyme – How did Homebyme help you in this project? 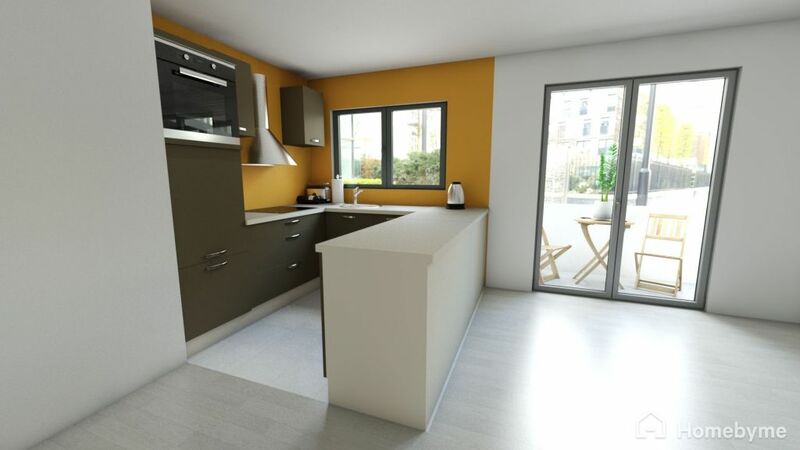 Rodrigue – Well it was really useful to help me define what I wanted by easily testing different plans and colours in 3D. I was glad to have the ability to project my own personality into my future apartment, and visualize the results, because when you are investing this much money, you can’t be wrong. I was happy to show my plan to my artisan, and then to work together to build it as close as possible. 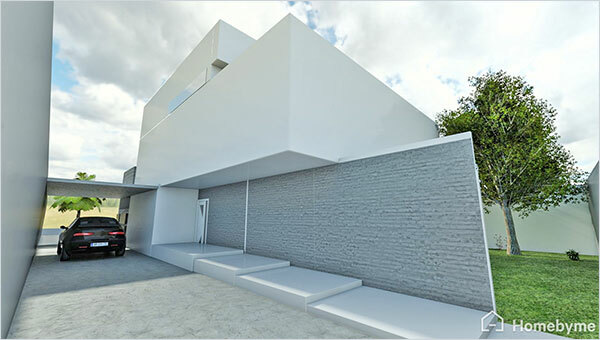 Click here to discover Rodrigue’s Homebyme project in 3D! Every month it’s more fun, but much harder to choose a single project of the month winner. There are so many great new projects every day that we want to recognize five of the projects that were in the running to be the February project of the month until the very end. Please visit them and look around to see how creative and beautiful they are. Use the Immersive Experience to get the whole picture. Or use the larger size 360° view – click on the double arrow. Give them a Like and let them know that they really are great! You can leave a comment in the Question section below Featured Products. February project of the month winner! The Winning February project of the month was created by CarolinaIsabel! Congratulations! These large, light-filled spaces are home for a family of six with extra room for a visitor or two. Yellow pops of color add the sparkle to a full palette of whites, grays and blacks. As we take a look around be sure to say ‘hello’ to everyone. 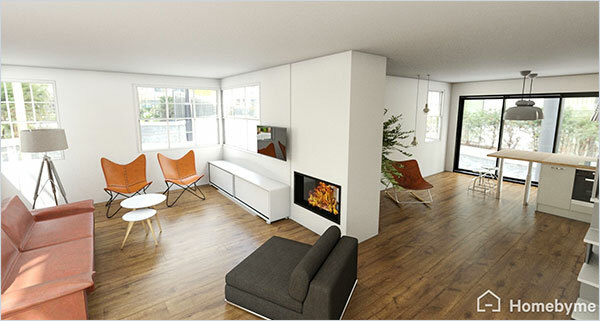 HomeByMe is an online 3D space planning service developed by Dassault Systèmes SE. The products and services presented on the HomeByMe website are not sold by Dassault Systèmes SE. They are sold by trusted partners who are solely responsible for them, as well as the information about them.